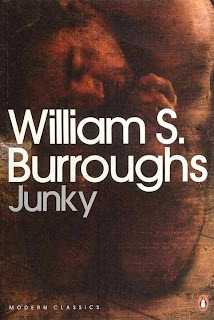 Retro Review: William S. Burroughs' "Junky"
Home » beats » books » new york » retro review » review » Retro Review: William S. Burroughs' "Junky"
My first encounter with William S. Burroughs' was whilst reclining in an artist's studio. The fabulous Piran Bishop always provided an array of interesting music and material on my visits and he had a recording of Burroughs that I listened to a number of times. It was surreal, mad, and strangely beautiful. At that time, I was still studying (weighed down with other books), and had not yet had the opportunity to discover that brilliant group of artists known as 'The Beats'. In fact it was (rather appropriately) during my first visit to New York that I became attracted to this period of literature. A friend and I had been walking all day, searching out such literary sites of interest as W.H. Auden's old flat, when we ended up in a book shop. I picked up a copy of "Howl" as we had discovered the film of the same title was playing at an authentic New York movie theater later that evening. We then proceeded to drink tea while taking turns to read the poem aloud in preparation. I loved it. And I loved the film. However, this is not a post about Ginsberg. Having delved into the fantastically illustrated graphic history of "The Beats" by Harvey Pekar, Ed Piskor and Paul Buhle, and read, and listened to more of Ginsberg's and Kerouac's work, I finally turned my attention to Burroughs. And I'm very glad I did. The two titles I chose were "Junky" and "Naked Lunch" and it was the former that first arrived in the post. Setting out to tell the truth of addiction, "Junky" introduces us to the bleak world of opium addiction. Having very little experience of drugs, I found it quite enlightening. It certainly framed addiction in terms I could understand. 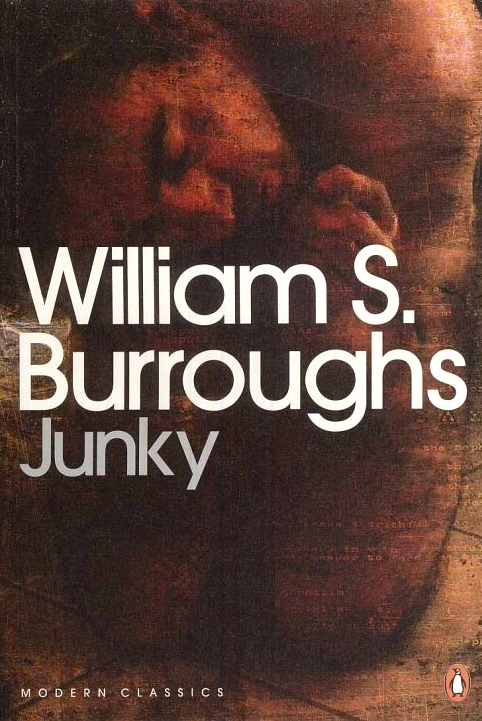 I love the description of Burroughs "junk cells", which seem to rightly place this type of addiction at an extremely physical level. The reader experiences the torture Bill experiences when being forced to steal money from drunk bums in order to feed this habit, as well as the intense reaction to withdrawal from the drug. I liked the book for the same reasons I like Bukowski's books: the author does not shy away from writing about the mundane. I think it is this persistent belief in the possibilities life can offer (despite the harsh realities of life) that is what I love about reading these writers, and I can't wait to dig into 'Naked Lunch', as I know it will be a different experience entirely.